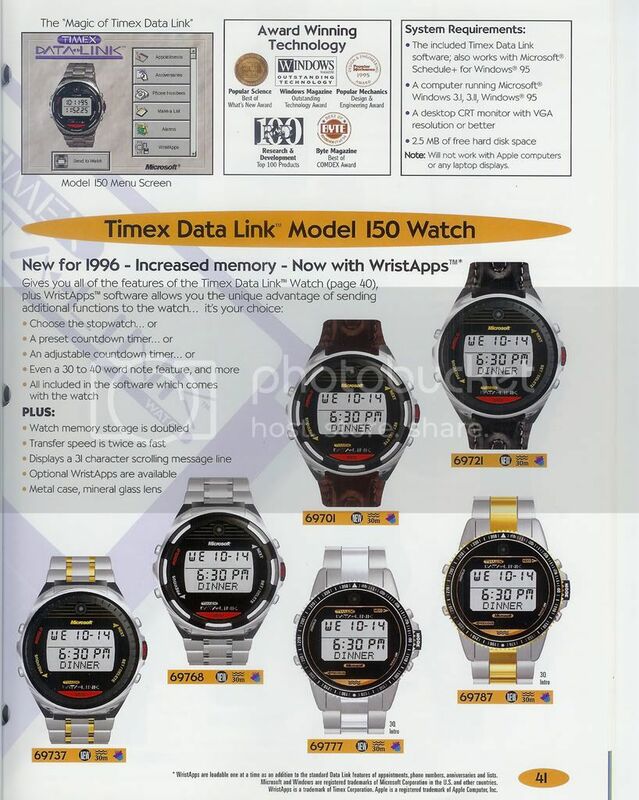 This is a recent article on The NASA Timex Datalink Watches which I wrote and posted at Watchuseek NASA and Space Topics forum. I am posting it here on my blog as well. 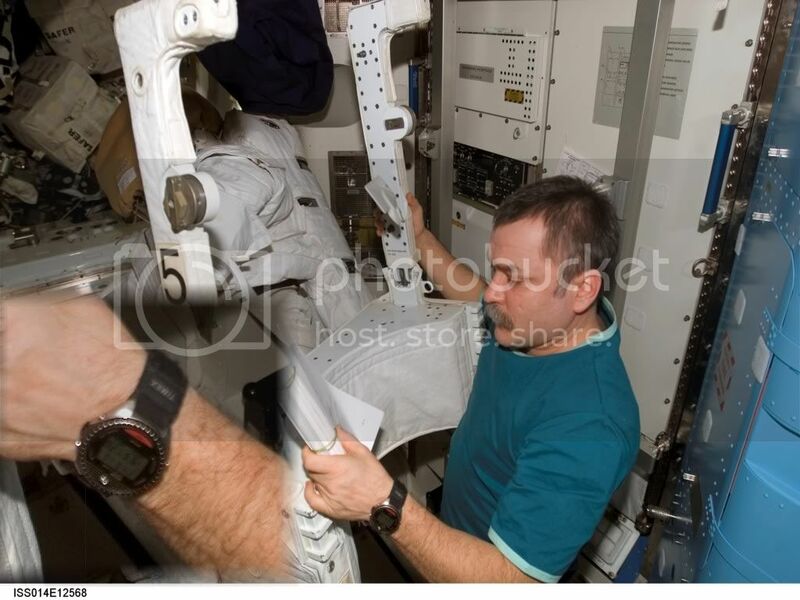 Well we're all familiar with this article at NASAexplores.com about watches used in space and that the Timex Ironman Datalink is one of the four NASA certified watches for space missions. 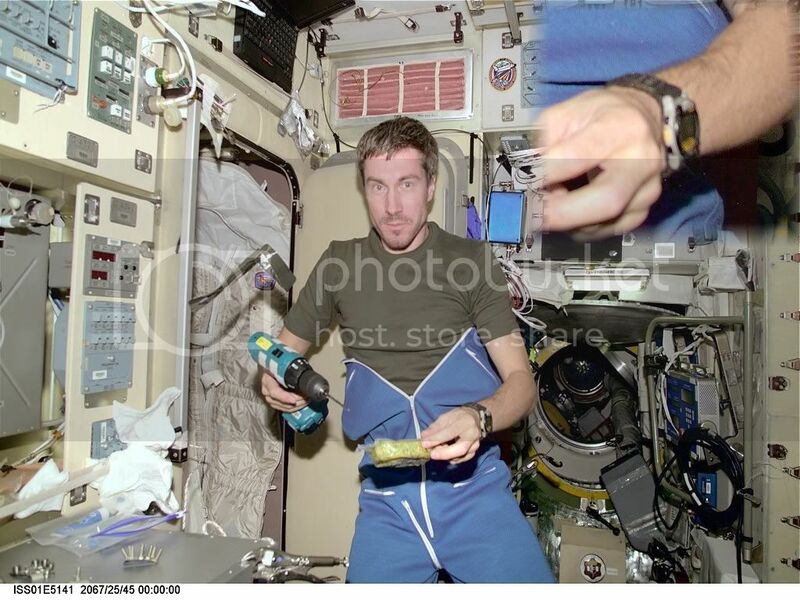 Being the space watch enthusiast that I am, I done some searches on the NASA website, which found me many photos of astronauts wearing Timex Datalink watches. It seems that the Ironman version is not the only nor the first version used. I think it was rather the non Ironman versions were ones first used instead. 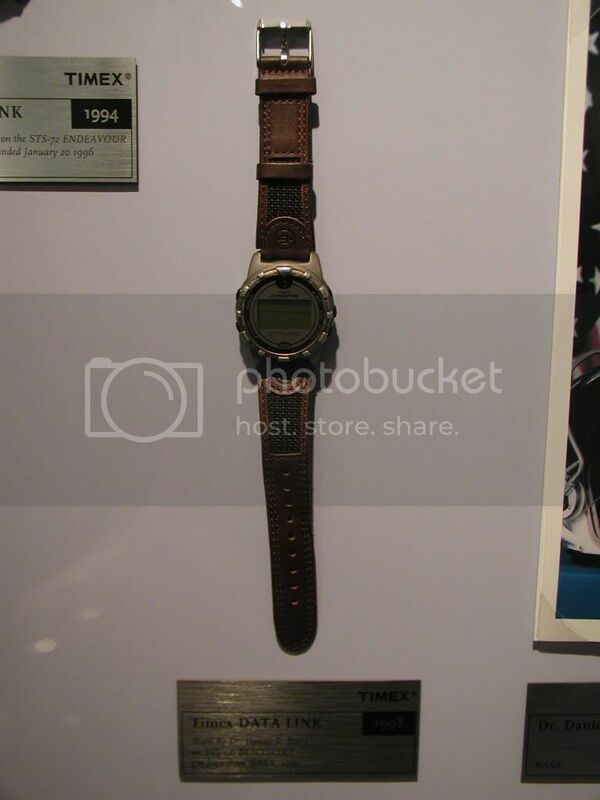 We have two Timex Data Link watches on display at Timexpo: The Timex Museum that have been into space with US Astronaut Dr Daniel T. Barry. 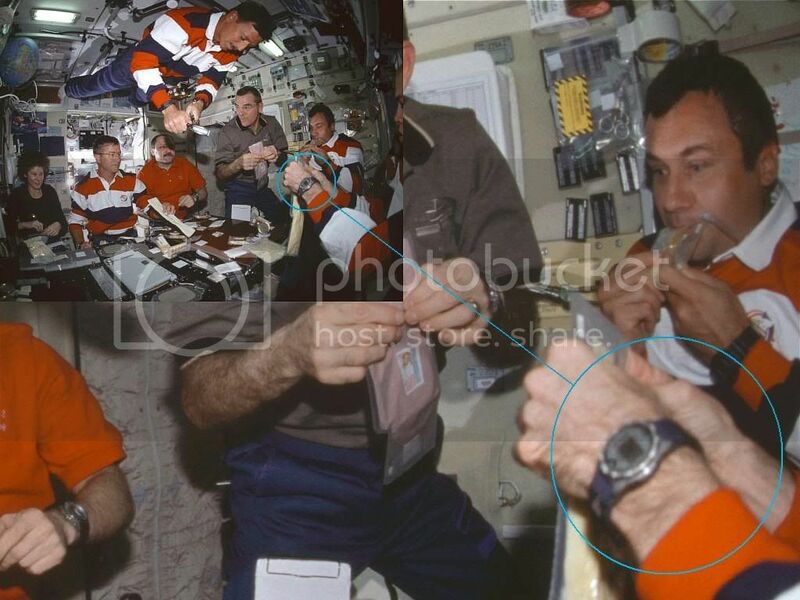 The first watch from 1994 - model 70302, was worn by Dr Barry onboard the STS-72 Endeavour in 1996. 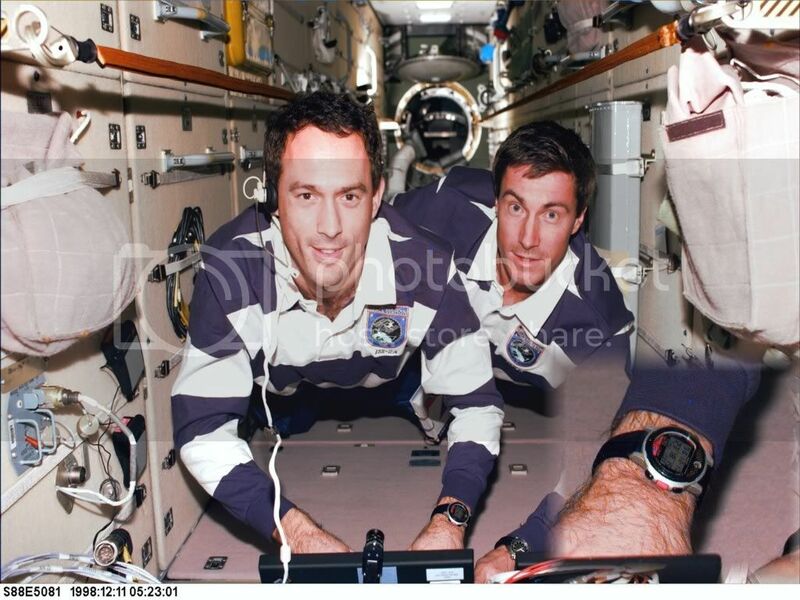 The second watch from 1998 - model 69931, was worn onboard the STS-96 Discovery in 1999. 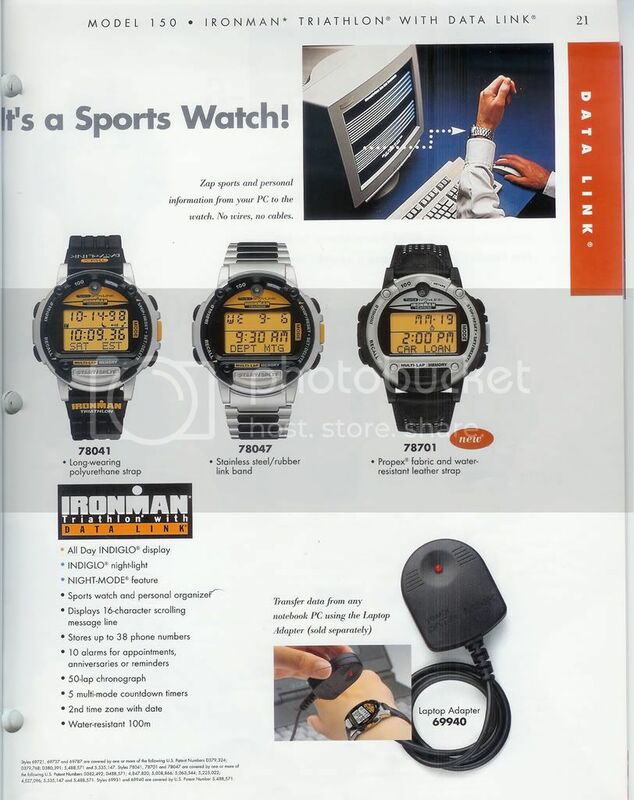 I have attached photos of the two watches on display and their information from the 1996 (model 70302) and 1998 (model 69931)catalogs. She also attached two catalog pictures, and two pictures of the flown watches on display at her museum. I can't find pics of astronauts wearing 70302 though, there seems to be less photographs of earlier missions. 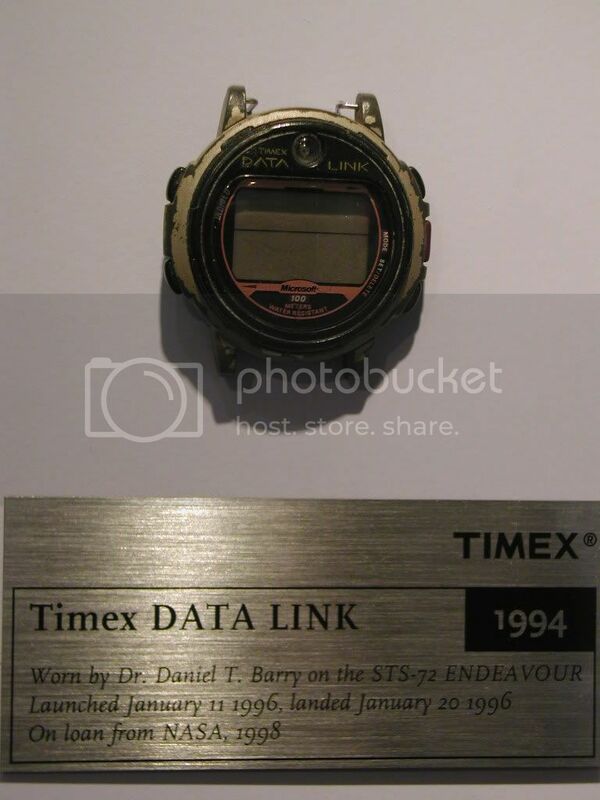 But I did found something else interesting regarding the Timex Datalinks on the crew logs that gave us an insight of how important these watches were to the astronauts then. "We have been working with the Timex software. Many thanks to the folks who got this up to us. 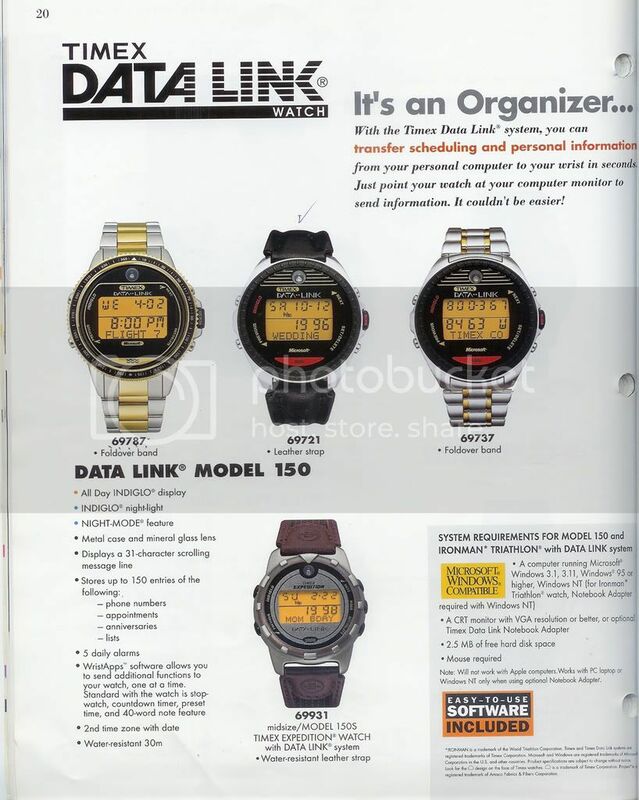 It seems we each have a different version of the datalink watch, and of course, the software is different with each. Yuri and Sergei are able to load up a day's worth of alarms, but Shep has the Datalink 150, and this has a 5 alarm limit. So 2/3 of the crew are now happy." "Missed a whole comm. pass over White Sands . We need to get the timex watches working so we don't overlook these calls." "As 5A is now delayed, we would like to request the "timex" watch software if it is available on the ground-a file that can be uplinked to us. This will help us manage our day as we can load comm. passes into the watches." "We copy the request from Houston on the timex watches. We will keep using the ones we have onboard-there are some workarounds we can apply that will help the limited "alarm" situation. We don't request any more watches be sent up on 5A, but thanks to all the crew equipment folks for asking. As a heads-up to Exp 2, any plans to use the timex download capability should include more laptop IR transmitters. We have 1 onboard, but more will be required if the next crew wants to fully use this capability." Hope this is helpful to fellow enthusiasts. 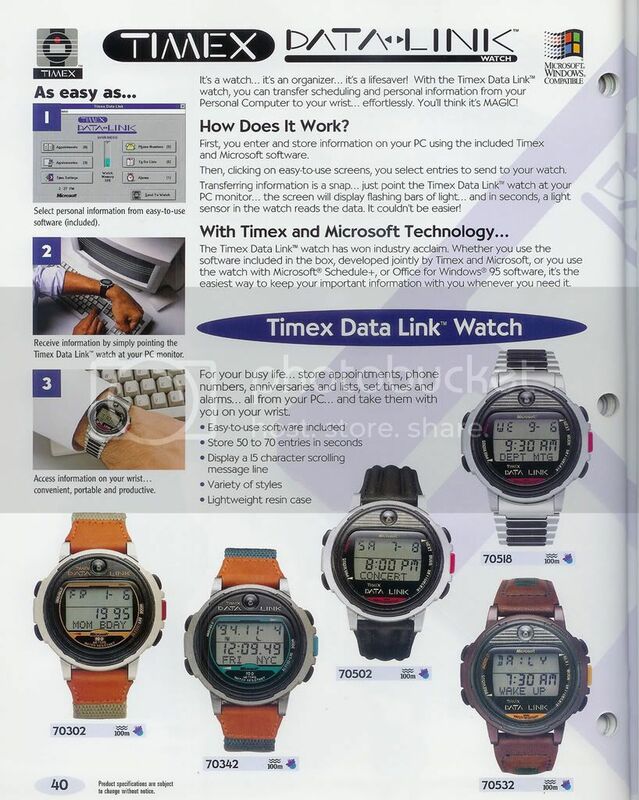 For more pictures, take a look at my Timex Datalink watch collection, along with other digital watches. 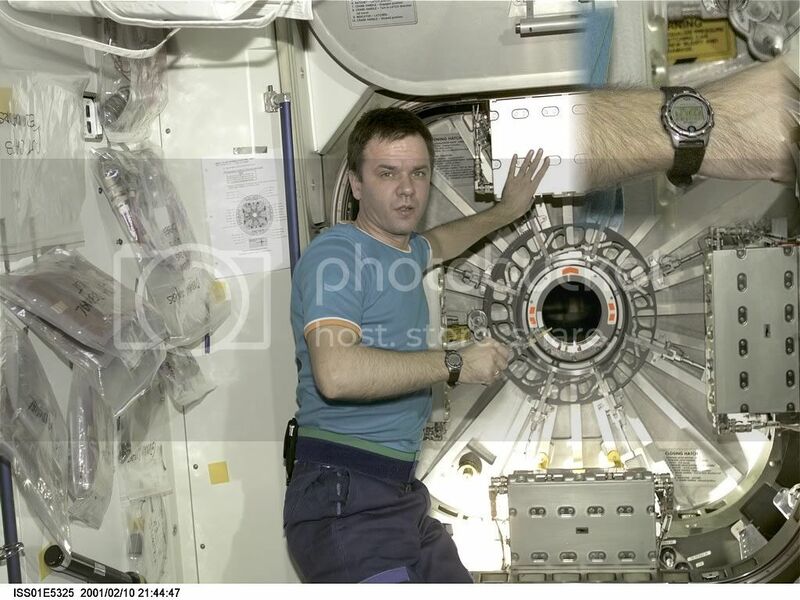 And I have to say that this is one of the best article about Timex I have read, I would say that this is THE best article, since I never read any other perfect research like that in all my Space Watches research! Thanx Cristiano, you flattered me. Really informative! 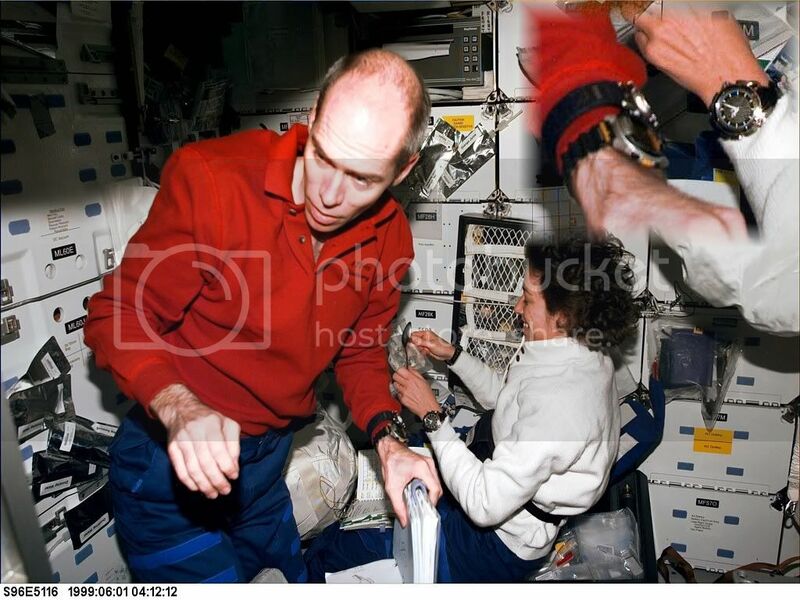 BTW can any G shock nowadays be fit for space travel? So now we know that Timex is better watch than other. Hmm i think that cosmic watch is better name :) And yes article is very interesting. i didn't know abut many things!